A spacecraft travels back in time to modern day 1973. Instead of returning astronauts aboard, the occupants are three intelligent apes. Cornelius, Zira and Dr. Milo come from a time where primates rule the earth rather than human beings. 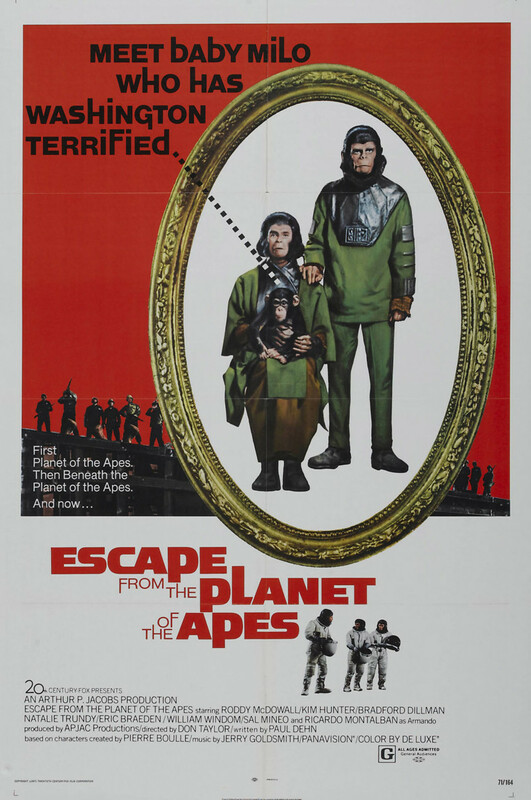 The apes are sequestered and studied while the U.S. government tries to figure out why they arrived in a spacecraft that had originally left with human astronauts. The three are considered celebrities until it is discovered that Zira and Cornelius are expecting their first child. The military realizes that this child could mean the end of the human race in the very near future. To protect their child, Zira and Cornelius find refuge with a circus entertainer as the military hunts them down to protect humanity.